OUTSTANDING RIVER VIEW HOME PRICED TO SELL! This is an exceptional opportunity for the right buyer. 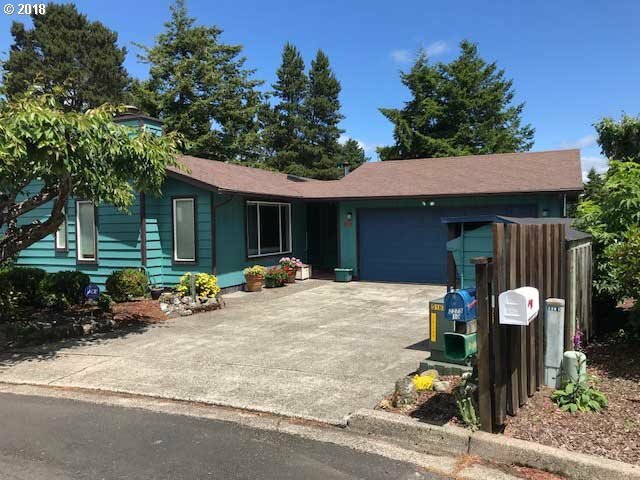 Located at the end of 10th Street, 1472 sq ft, 3 bed, 2 bath, 2 fireplace home has a commanding view of the Siuslaw River, 2 car detached garage, small greenhouse/artist studio and some truly amazing landscaping. Home priced "as is" to allow new owners to address some foundation and flooring concerns. Hurry on this one. This won't last!